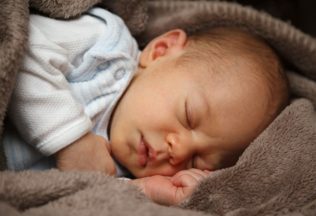 A University of Queensland study has found a genetic variation which impacts the composition of breastmilk and could have a lasting impact on a child’s gut health. Researcher, Paula Smith-Brown, said children aged two to three had lower levels of ‘good’ intestinal bacteria if their mother’s secretor gene was inactive. “The gene plays an important role in the production of human milk oligosaccharides, or HMOs,” Smith-Brown said. “HMOs can’t be digested by infants but are the third largest component of breast milk – they are only there to feed the child’s developing gut bacteria. If a woman’s secretor gene is switched off she is considered a non-secretor, which means she can’t produce certain important HMOs,” she said. “Our study has shown that if a mother’s secretor gene is turned off, there is a lasting impact on Bifidobacteria levels in her child’s microbiota, extending well after breast-feeding has ended,” Smith-Brown stated. Smith-Brown said it was now accepted that gut microbiota was important to health, but researchers were still discovering what factors made it robust and which made it less healthy. Further research is required but Smith-Brown said eventually non-secretors may be able to take a supplement whilst breastfeeding. “This could make a significant difference as about 20 per cent of the population are non-secretors,” she said. For women who are non-secretors it is still recommended that they breastfeed their child. “Babies who are formula-fed won’t get these special HMOs and they are also not getting lots of other beneficial components in breast milk,” Smith-Brown said.